In September, the average days on market landed at 27 days and the original list-to-sale price ratio 98%. Since May, inventory growth has been noticeable, and has given buyers more options. This has led to more negotiations and fewer bidding wars, which is tempering month-over-month price growth to a more sustainable level. 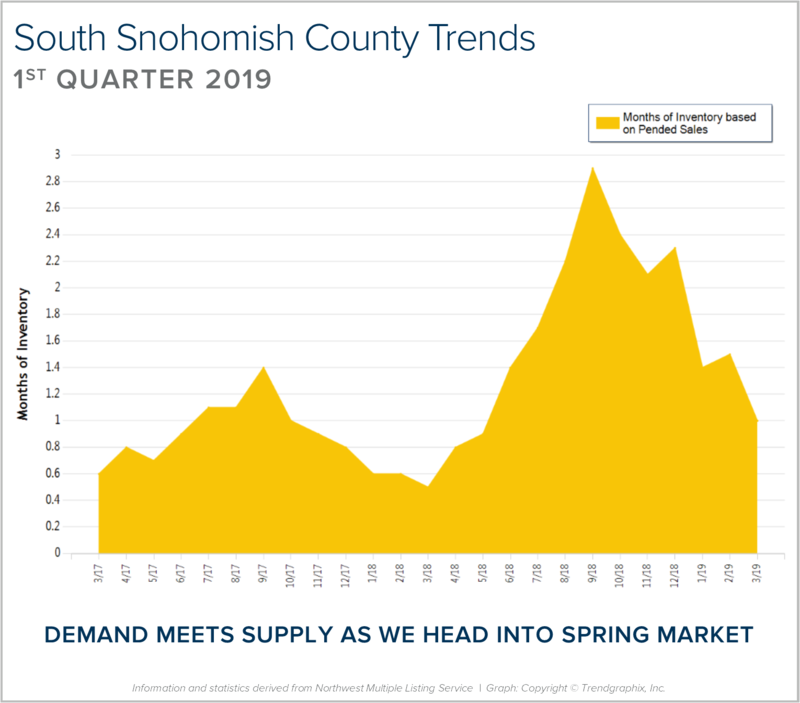 Back in April, the average days on market was 14 days and the original list-to-sale price ratio 104%; but months of inventory based on pending sales was 0.8 months, compared to 2.5 months currently. Year-over-year, prices are up 11%, still well above the historical norm of 3%-5% year-over-year gains—but note that the majority of this growth happened during the spring, due to constricted inventory levels. Supply has increased, creating more options for buyers and helping to buffer affordability issues. Many sellers are deciding to make moves and cash in on the equity gained over the last six years. An average original list-to-sale price ratio of 98% is a positive return, yet illustrates a softening in the market after some very extreme times. With 11% price growth over the last 12-months in a seller’s favor, the increase in selection has led to more nimble moves from one house to another. Where sellers need to be careful is anticipating the month-over-month price growth we saw prior to the shift in inventory. Prospective buyers would be smart to take advantage of today’s historically low interest rates and the added inventory selection. 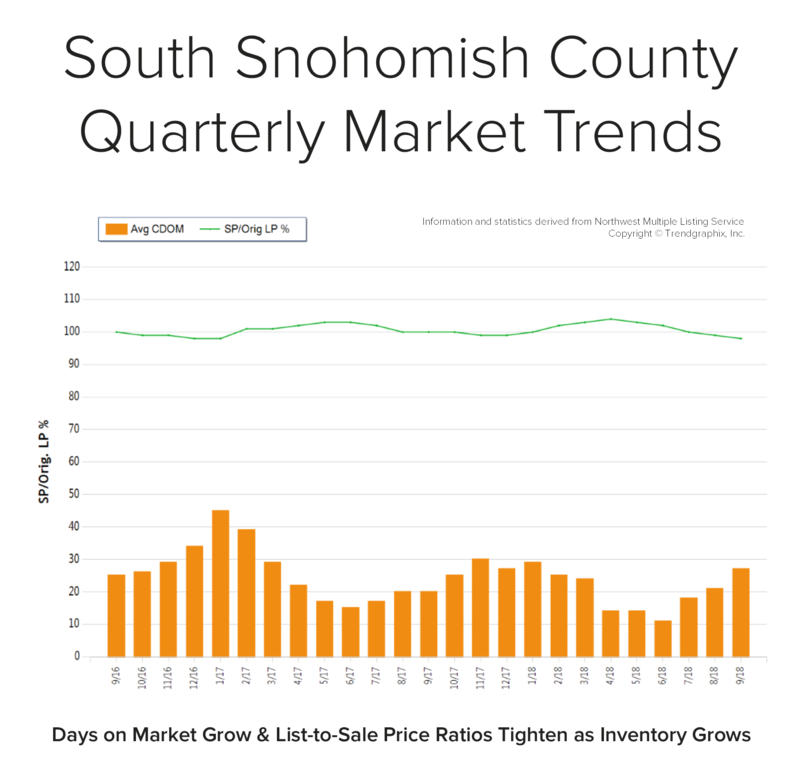 As we head into the summer months we are seeing a healthy jump in inventory in our area. In May, we saw the biggest jump in new listings in a decade! Price appreciation has created this phenomenon, motivating many people to make big moves with their equity. In fact, prices are up 13% year-over-year. We currently sit at 1.3 months of inventory based on pending sales. This more-equal balance of homes for sale compared to the first quarter has created great opportunities for buyers, finally! While it is still a seller’s market, it has eased up a bit. The average days on market in June was 11 days and the average list-to-sale price ratio was 102%. 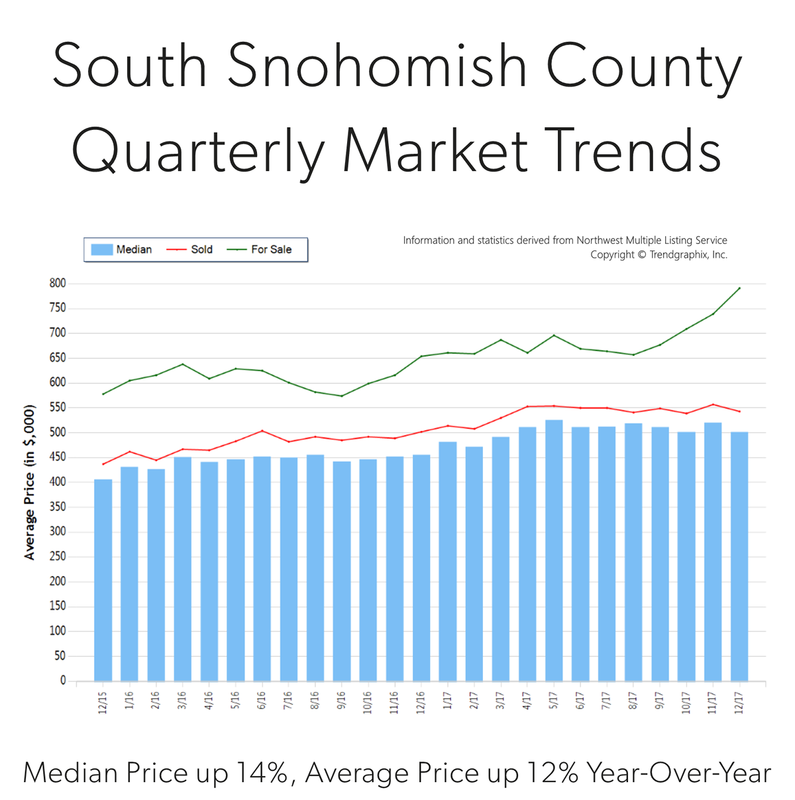 South Snohomish County real estate has been an affordable option compared to “in-city” real estate. In fact, the median price in June was 41% higher in Seattle Metro. 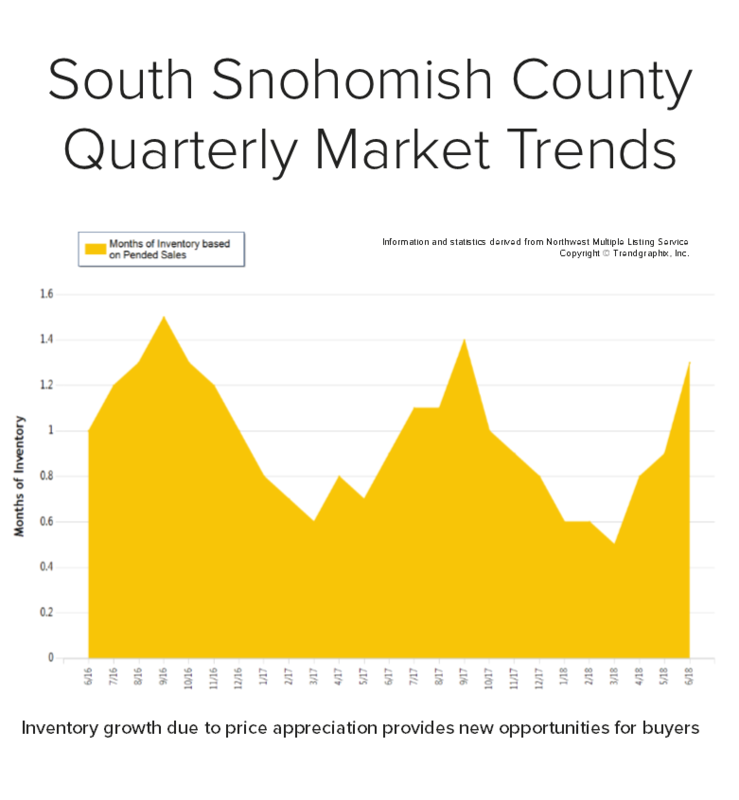 Sellers are enjoying great returns due to buyers choosing to lay down roots in our area, and buyers are securing mortgages with minor debt service due to low interest rates. The easing of inventory is a welcome change and is helping to temper price growth. Price growth was particularly strong in 2017! Median was up 14% and average price up 12% over 2016. Median price in 2017 landed at $508,000 and the average at $543,000. The average amount of days it took to sell a house in 2017 was 24 days, which is 17% faster than 2016. The average list-to-sale price ratio over the last year was 101%, with the spring months as high as 103%! In 2017, inventory growth continued to be a challenge, with a 1% decrease in new listings compared to 2016. Even with inventory limitations there were 4% more sales! This phenomenon illustrates strong buyer demand and a need for more listings. 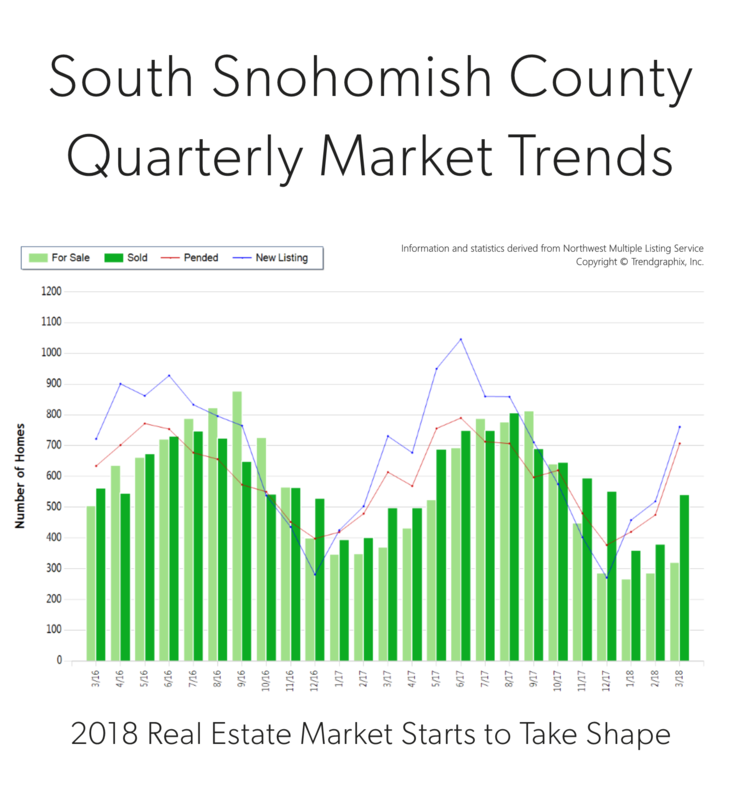 South Snohomish County real estate has seen a steady stream of buyers come our way due to affordability, reasonable commute times to job centers and quality of life. 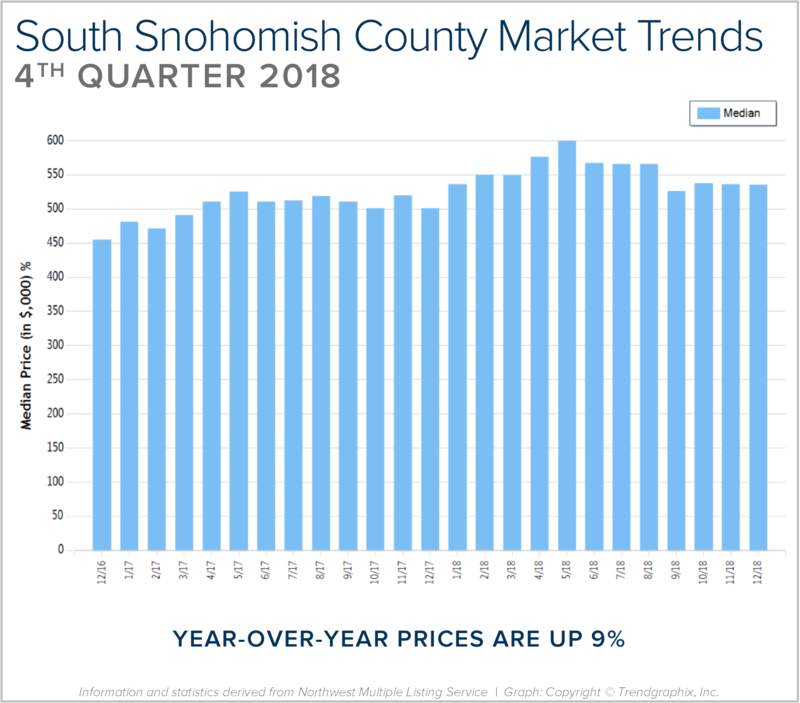 In fact, the median price in 2017 was 41% higher in north King County. Historically low interest rates continue to drive the market as well, they have helped offset the increase in prices. Sellers are enjoying great returns due to this phenomenon and buyers are securing mortgages with minor debt service.